Global Business Partner’s website do not collect or compile personally identifying information for dissemination or sale to outside parties for consumer marketing purposes, or host mailings on behalf of third parties. Access to this application is available to the general public without requiring any registration. The website serves as an information website. Individuals who wish to find out more about the products may fill in the Contact Us Form, together with the individual’s contact details such as name, address, telephone number and email address. Our customer representatives will respond to the enquiries by contacting the individuals. A cookie is a small piece of computer code that enables Web servers to “identify” visitors. When you visit a Website that uses cookie technology, the site adds a cookie to your browser that includes an identifying number, which is then stored on your hard drive. Each time you initiate a session on Global Business Partner’s website, the site sets the cookie in order to identify you and determine your access privileges. Cookies do not store any of the information that you have provided to the site. They are simply identifiers. You have the ability to delete cookie files from your hard drive at any time. However, you should know that cookies may be necessary to provide you with access to much of the content and features of Global Business Partner’s website. Global Business Partner’s website uses information voluntarily given by our users/suppliers or obtained through tracking to enhance their experience on the site by personalizing the experience. Information is also used for the purpose of responding to any enquiries by the users. We also use the information gained to plan future content based on users’ interests and to help us plan other Global Business Partner’s products and services as well as future discount or event offerings. This Website contains links to other sites. Please be aware that Global Business Partner’s website is not responsible for the privacy practices of such other sites. We encourage our users to be aware when they leave our site and to read the privacy statements of each and every Website that collects personally identifiable information. This privacy statement applies solely to information collected by this Website. 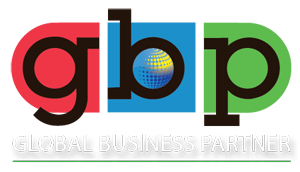 Global Business Partner’s website provides its users with a secure online experience. To do this we use a variety of security measures to maintain the safety and confidentiality of your personal information when you submit such information. All information captured in the enquiry form is contained behind a firewall and only accessible by a limited number of authorized employees who have special access rights to our databases. Pandan Perdana, 55300 Kuala Lumpur, Malaysia. 2018 © Copyright | GBP.asia | All Rights Reserved. Upload your CV and join our team! You can also contact us directly hr@gbp.asia. PANDAN PERDANA, 55300 KUALA LUMPUR MALAYSIA. 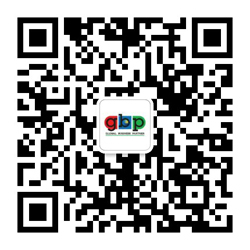 You can also contact us directly info@gbp.asia.